Quick Freshes: November 19th, today, is the 154th anniversary of the Gettysburg Address. Thanksgiving Day, the fourth Thursday in November, falls on the 23rd this year, coinciding with the anniversary of the death of the great English composer Thomas Tallis (ca. 1505–1583). ❡ Toasts can be a fun tradition for your family table. We offer one each week — you can take it up, or make up one of your own (“To North American dinosaurs!”), or invite a different person to come up with one for each meal (“To variety in toasting!”). Our weekly examples are currently selected and adapted for amusement from two 19th-century collections: W.T. Marchant’s “Toasts and sentiments” (1888), and the anonymous Social and Convivial Toast-Master (1841). What did you toast this week? 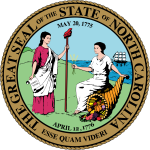 North Carolina (21 November 1789, the 12th state) — The Tar Heel State, the Old North State. North Carolina appears on page 582 in your almanac, and on plate 42 in your atlas. Name origin: “In 1619, Charles I gave patent to Sir Robert Heath for Province of Carolana, from Carolus, Latin name for Charles. Charles II granted a new patent to Earl of Clarendon and others. Divided into North and South Carolina in 1710″ (almanac page 455, in telegraphic style). ❡ What can you do with the state of the week? A thousand things, with your reference library as a starting point. Find the state bird with your almanac and look it up in your bird guide. Trace the state’s outline with your atlas. Read the almanac’s one-paragraph history aloud each week. Using each state’s official website (above), find and copy the preamble to that state’s constitution into a commonplace book over the course of the year. Practice math skills by graphing each state’s population and area. Look up the famous state residents listed in your almanac either online or at the library — the possibilities are endless and they can be easily adjusted according to a student’s age and interests. Cyprus (English and Greek), in the eastern Mediterranean Sea. Czechia (Czech Republic) (English and Czech), in East-Central Europe. Denmark (English and several other languages), in Northern Europe. Djibouti (French only), on the east coast of Africa. These all appear in your current almanac, atlas, and history encyclopedia as well. For example, you’ll find the main entries for Cyprus on almanac pages 768–769, atlas plates 72 and 96, and history encyclopedia page 550, with illustrations, flags, and other mentions available through the indexes in each volume. ❡ Read and think critically: The country links above go to official websites, which are not always in English and which may well be propagandistic in one way or another, thus offering older students a good opportunity to practice their critical reading and thinking skills. Tour the United States and travel the countries of the world each week with the River Houses. 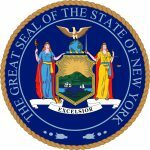 New York (26 July 1788, the 11th state) — The Empire State. Capital: Albany. New York appears on pages 581–582 in your almanac, and on plates 43 and 44 (among others) in your atlas. Name origin: “For James, Duke of York and Albany, who received patent for New Netherland from his brother Charles II and sent an expedition to capture it, 1664” (almanac page 455, in telegraphic style). ❡ What can you do with the state of the week? A thousand things, with your reference library as a starting point. Find the state bird with your almanac and look it up in your bird guide. Trace the state’s outline with your atlas. Read the almanac’s one-paragraph history aloud each week. Using each state’s official website (above), find and copy the preamble to that state’s constitution into a commonplace book over the course of the year. Practice math skills by graphing each state’s population and area. Look up the famous state residents listed in your almanac either online or at the library — the possibilities are endless and they can be easily adjusted according to each student’s age and interests. Costa Rica (Spanish only), in Central America. Capital: San José. Cote d’Ivoire (French only), in West Africa. Capital(s): Yamoussoukro and Abidjan. Croatia (English and Croatian), in Southeastern Europe. Capital: Zagreb. Cuba (Spanish only), in the West Indies. Capital: Havana. These all appear in your current almanac, atlas, and history encyclopedia as well. For example, you’ll find the main entries for Cote d’Ivoire (formerly the Ivory Coast, in English) on almanac pages 766–767, atlas plates 97 and 131, and history encyclopedia page 561, with illustrations, flags, and other mentions available through the indexes in each volume. ❡ Read and think critically: The country links above go to official websites, which are not always in English and which may well be propagandistic in one form or another, thus offering older students a good opportunity to practice their critical reading and analysis skills. 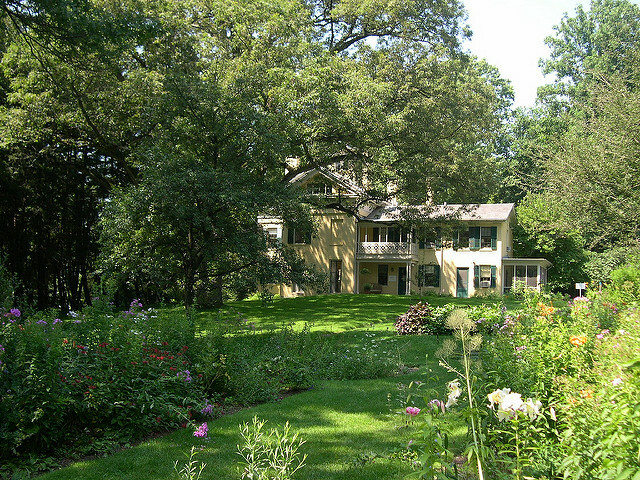 Tour the United States and travel the countries of the world with the River Houses. 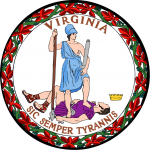 Virginia (25 June 1788, the 10th state) — The Old Dominion. Capital: Richmond. Virginia appears on page 589 in your almanac, and on plate 43 in your atlas. 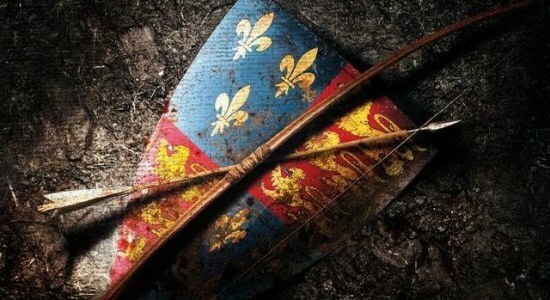 Name origin: “Named by Sir Walter Raleigh, who outfitted an expedition in 1584, in honor of England’s Queen Elizabeth, the Virgin Queen” (almanac page 455). Colombia (Spanish only), in north-west South America. Capital: Bogotá. The Comoros (French only), in the Indian Ocean between Madagascar and the coast of West Africa. Capital: Moroni. Congo (BBC News country profile, in English), in central Africa. Capital: Kinshasa. Congo Republic (French only), in west-central Africa. Capital: Brazzaville. These all appear in your current almanac, atlas, and history encyclopedia as well. For example, you’ll find the main entries for the tiny island nation of the Comoros on almanac pages 734–735, atlas plates 131 and 95 (where you can practice reading insets on a map), and history encyclopedia page 567, with illustrations, flags, and other mentions available through the indexes in each volume. ❡ Read and think critically: The country links above go to official websites, which are not always in English and which may well be propagandistic in one form or another, thus offering older students a good opportunity to practice their skills in critical reading and analysis. 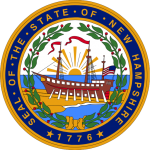 New Hampshire (21 June 1788, the 9th state) — The Granite State. Capital: Concord. New Hampshire appears on pages 579–580 in your almanac, and on plate 44 in your atlas. Name origin: “Named by Capt. John Mason of Plymouth Council, in 1629, for his home county in England” (almanac page 455). Central African Republic (English), in Central Africa. Capital: Bangui. Chad (English, French, and Arabic), in Central Africa. Capital: N’Djamena. Chile (Spanish and English), on the west coast of South America. Capital: Santiago. China (Chinese and English), in East Asia. Capital: Beijing. These all appear in your current almanac, atlas, and history encyclopedia as well. For example, you’ll find the main entries for the Central African Republic on almanac pages 760–761, atlas plates 97 and 130, and history encyclopedia page 563, with illustrations, flags, and other mentions available through the indexes in each volume. 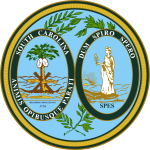 South Carolina (23 May 1788, the 8th state) — The Palmetto State. Capital: Columbia. South Carolina appears on page 586 in your almanac, and on plate 42 in your atlas. Name origin: “In 1619, Charles I gave patent to Sir Robert Heath for Province of Carolana, from Carolus, Latin name for Charles. Charles II granted a new patent to Earl of Clarendon and others. Divided into North and South Carolina in 1710″ (almanac page 455, in telegraphic style). Cabo Verde (Portuguese only), in the eastern Atlantic off the coast of West Africa. Cambodia (English and several other languages), in Southeast Asia. Cameroon (English and French), in west-central Africa. Canada (English and French), in North America. These all appear in your current almanac, atlas, and history encyclopedia as well. For example, you’ll find the main entries for Cambodia on almanac pages 758–759, atlas plate 87, and history encyclopedia pages 592–593, with illustrations, flags, and other mentions available through the indexes in each volume. 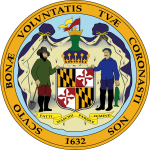 Maryland (28 April 1788, the 7th state) — The Old Line State, the Free State. Maryland appears on pages 574–575 in your almanac, and on plate 43 in your atlas. Name origin: “For Queen Henrietta Maria, wife of Charles I of England” (almanac page 455). Brunei (English and Bahasa Melayu), on the island of Borneo in Southeast Asia. Bulgaria (English and Bulgarian), in Eastern Europe. Burkina Faso (French only), in West Africa. Burundi (French only), in Central Africa. These all appear in your current almanac, atlas, and history encyclopedia as well. For example, you’ll find the main entries for Bulgaria on almanac page 757, atlas plate 71, and history encyclopedia page 545, with illustrations, flags, and other mentions available through the indexes in each volume. ❡ Read and think critically: The country links above go to official websites, which are not always in English and which may well be propagandistic in one form or another, thus offering older students a good opportunity to practice their critical reading and thinking skills. 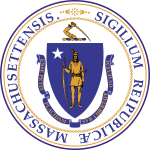 Massachusetts (6 February 1788, the 6th state) — The Bay State. Massachusetts appears on page 575 in your almanac, and on plate 44 in your atlas. Name origin: “From Indian tribe whose name meant ‘at or about the Great Hill’ in Blue Hills region south of Boston” (almanac page 455, in telegraphic style). Bolivia (Spanish only), in west-central South America. Bosnia and Herzegovina (English and several other languages), in southeastern Europe. Botswana (English and Setswana), in southern Africa. Brazil (Portuguese only), in eastern South America. These all appear in your current almanac, atlas, and history encyclopedia as well. For example, you’ll find the main entries for Botswana on almanac pages 755–756, atlas plates 100 and 101, and history encyclopedia page 568, with illustrations, flags, and other mentions available through the indexes in each volume. ❡ Read and think critically: Note that the country links above go to official websites, which are not always in English and which may well be propagandistic in one form or another, thus offering older students a good opportunity to practice their critical reading and thinking skills. 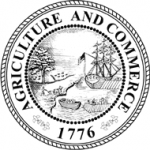 Connecticut (9 January 1788) — The Constitution State, the Nutmeg State. Connecticut appears on pages 567–568 in your almanac, and on plate 44 in your atlas. The name comes from “Mohican and other Algonquin words meaning ‘long river place’” (almanac page 455). ❡ What can you do with the state of the week? A thousand things, with your reference library as a starting point. Find the state bird with your almanac and look it up in your bird guide. Trace the state’s outline with your atlas. Read the almanac’s one-paragraph history aloud each week. Using each state’s official website (above), find and copy the preamble to that state’s constitution into a commonplace book over the course of the year. Practice math skills by graphing each state’s population and area. Look up famous state residents online or at the library — the possibilities are endless and they can be easily adjusted according to a student’s age and interests. Belgium (English, French, Dutch, and German) in Europe. Belize (English) in Central America. Benin (French only) in West Africa. Bhutan (English), in South Asia. These all appear in your almanac, atlas, and history encyclopedia as well. For example, you’ll find the main entries for Benin on almanac page 754, atlas plate 97, and history encyclopedia page 562, with illustrations, flags, and other mentions available through the indexes in each volume. If you check your North American bird guide (pages 22–23) you’ll see that there are three species of swans in North America: the native Tundra Swan and Trumpeter Swan, mostly in the West, and the introduced Mute Swan, mostly in the East. (A fourth species, the Eurasian Whooper Swan, is an occasional visitor to western Alaska.) That’s a fun fact to know. But there’s an even bigger swan that you can see “migrating” every night at this time of year — the constellation Cygnus, the great swan of the heavens that appears directly overhead on fall evenings, passing to the west overnight and disappearing over the horizon. Cygnus is one of my favorite constellations. It’s simple and easy to recognize, and you can clearly see it as a flying swan, with long outstretched neck, short tail, and spread wings. If you’re in a dark sky location you’ll see that the Milky Way passes right along the swan’s length and does indeed give it a whitish appearance. Cygnus is a beautiful, easily recognized constellation in the form of a giant cross; it is sometimes called the Northern Cross. Deneb, a brilliant white star of magnitude 1.3 (18th of the 20 brightest stars), marks the top of the cross. There are many bright stars in Cygnus; it lies directly in the Galactic Plane and [therefore to the eye appears] embedded in the Milky Way. Sweep this entire are with binoculars and note the many stars and clusters. Spend a little time out after dark this week with your students and locate the great swan as it makes its nightly migratory flight. Once you learn to spot it, you’ll have a new autumnal friend for life. Georgia (2 January 1788) — The Peach State. Georgia appears on pages 569 in your almanac, and on plate 42 in your atlas. “Named by colonial administrator James Oglethorpe for King George II of England in 1732” (almanac page 455). Bahrain (Arabic and English), in the Middle East. Bangladesh (Bangla and English), in South Asia. Barbados (English), in the West Indies. Belarus (English, Russian, and Belarusian), in Eastern Europe. These all appear in your almanac, atlas, and history encyclopedia as well. For example, you’ll find the main entries for Bangladesh on almanac page 752, atlas plate 85, and history encyclopedia pages 584–585, with illustrations, flags, and other mentions available through the indexes in each volume. On this day of the autumnal equinox, as summer departs, Emily Dickinson provides us with a read-aloud poem of the week. If your students are learning how to read poetry — and poetry requires a special kind of reading, different from prose reading — tell them not to read too quickly or expect everything to be clear on the first pass through. Think of getting to know a poem as being like getting to know a person: some things are apparent on the surface, but there are new things to discover over time with repeated engagement. For traditionally styled poems like this one, the first and simplest thing to do as you make the poem’s acquaintance is to forget about meaning and just count syllables. As imperceptibly as Grief — eight. The Summer lapsed away — six. Too imperceptible at last — eight. To seem like Perfidy — six. 8-6-8-6. The other three stanzas are a shortened version of this: 6-6-8-6. A perfect match. Whenever you encounter Emily Dickinson in your reading — and I hope that will be often — start by counting syllables, and you’ll gain a new appreciation for the details of her craft. ❡ Is today really the autumnal equinox? That depends on your hemisphere. In the northern hemisphere, yes, it’s the autumnal (fall) equinox. But in the southern hemisphere, today is the vernal (spring) equinox. To avoid confusion, astronomers often just call it the September equinox, which it is in both hemispheres. 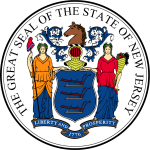 New Jersey (18 December 1787) — The Garden State. New Jersey appears on page 580 in your almanac, and on plate 43 in your atlas. “The Duke of York, in 1664, gave a patent to Lord John Berkeley and Sir George Carteret for Nova Caesaria, or New Jersey, after England’s Isle of Jersey” (almanac page 455). ❡ What can you do with the state of the week? A thousand things, with your reference library as a starting point. Look up the state bird in your bird guide or trace the state’s outline with your atlas. Read the almanac’s one-paragraph history aloud each week. Using each state’s official website (above), find and copy the preamble to that state’s constitution into a commonplace book over the course of the year. Practice math skills by graphing each state’s population and area. Look up famous state residents online or at your local library — the possibilities are endless and they can be easily adjusted according to a student’s age and interests. Australia (English), in the southwest Pacific. Austria (English and German), in Europe. Azerbaijan (English, Russian, and Azerbaijani), in southwest Asia. The Bahamas (English), in the western Atlantic Ocean between Florida and Cuba. These all appear in your almanac, atlas, and history encyclopedia as well. For example, you’ll find the main entries for the tiny island nation of the Bahamas on almanac page 751, atlas plates 42 and 49, and history encyclopedia page 504, with illustrations, flags, and other mentions available through the indexes in each volume. ❡ Read and think critically: Note that the country links above go to official websites, which are not always in English, and which may well be propagandistic in one form or another (thus offering older students a good opportunity to practice their critical reading and thinking skills). Today, September 17th, is Constitution Day, marking the anniversary of the signing of the U.S. Constitution on September 17, 1787, in Philadelphia. The U.S. National Archives has an excellent set of teaching resources about the Constitution — just the thing to explore on this anniversary day.